Jefferson Animal Hospital & Regional Emergency Center is the only veterinary hospital in Kentucky that is always open and fully staffed for emergencies, as well as routine pet care, any time of the day or night – seven days a week, 365 days a year. Our hospitalized patients receive around-the-clock monitoring and intensive care. We are fully equipped for emergency treatment, laboratory tests, emergency and routine surgery, ultrasound and endoscopy, radiology, chemotherapy, dentistry and intensive care. Our support staff is well-trained in emergency triage and supportive care. When an emergency arises, and your pet's regular veterinarian is not available, we are here to serve. There may also be times when your regular veterinarian is treating your pet and wishes to refer your pet to our facility for overnight or prolonged critical care monitoring. 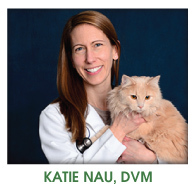 We work closely with your regular veterinarian, providing regular medical updates at their request. We also provide your regular veterinarian with complete medical treatment records, giving them the appropriate tools to successfully manage follow-up care for your pet. Jefferson Animal Hospital and Regional Emergency Center's mission is to provide compassionate, competent veterinary care to our patients and clients, in an atmosphere of loving concern.